CRD Performance now offer an on the car Diesel Particulate Filter (DPF) cleaning and regeneration service, for most makes and models of vehicles, this is carried out without the need or any intervention whatsoever from the vehicles own Electronic Control Unit, (ECU). Prices start from just £299.00 for most average size 4 cylinder vehicles but may be higher for some difficult to hook up to vehicles or larger capacity 5, 6 and 8 cylinder engines. To book your vehicle in for a DPF Regenerator clean please contact Joanne, Eddie or Vinny on the number below. Whatever the fault or cause of your Diesel Particulate Filter (DPF) related problems, CRD Performance offer a comprehensive diagnostic check and repair solution for most cars and light vans. 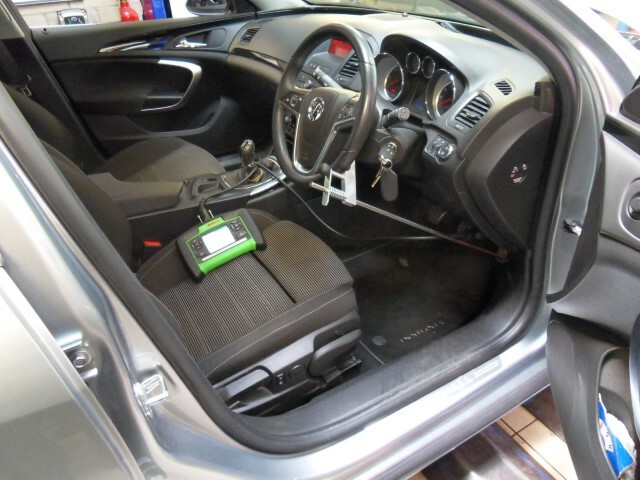 From just an initial fault code read through the vehicles On Board Diagnostic (OBD) socket using a Scan Tool, to using other specialist test equipment i.e. 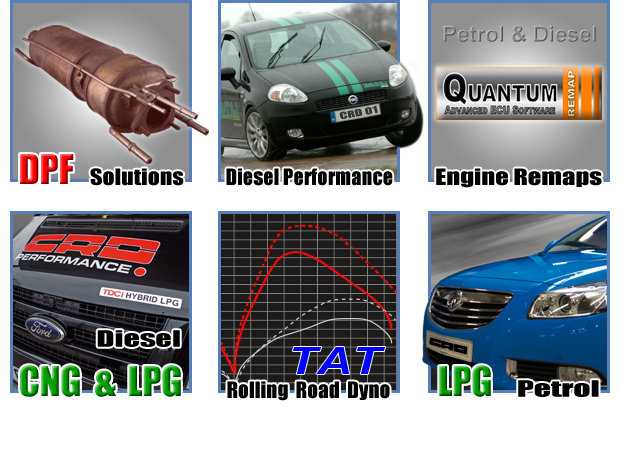 Rolling Road, Oscilloscope, Smoke Machine, Sensor Simulator, Coda Fuel Flow Tester etc. we are able to further test and accurately diagnose not just the symptom, but often the cause of any problems, we do it all. Most owners of late model (2009 onwards, some even older) turbocharged diesel vehicles, that are installed with a manufacturers DPF will sooner or later encounter one or more of the following concerns. The yellow DPF warning light symbol comes on more and more frequently or sometimes stays on and doesn’t go out at all. The yellow EML (Engine Management Light) intermittently comes on and go’s out but this may be happening more frequently but sometimes it stays on for longer than previously. The EML comes on and the vehicle sometimes defaults to an emergency limp home mode where the engine’s speed and power is restricted, re-starting the engine sometimes restores normal power and temporarily clears the EML. If the vehicle is an auto, the gearbox may sometimes seem to stick in a high gear when setting off and then not change through the gears as normal; once again, re-starting the engine may clear the EML and temporarily re-set the gearbox fault. The engine may seem down on power and have a different sound or a change in its exhaust note; it may also seem less responsive than normal when revved hard and the vehicle stationary. The dashboard’s instantaneous MPG display may sometimes indicate a lower than normal reading, especially when travelling above about 50mph at steady engine speeds. 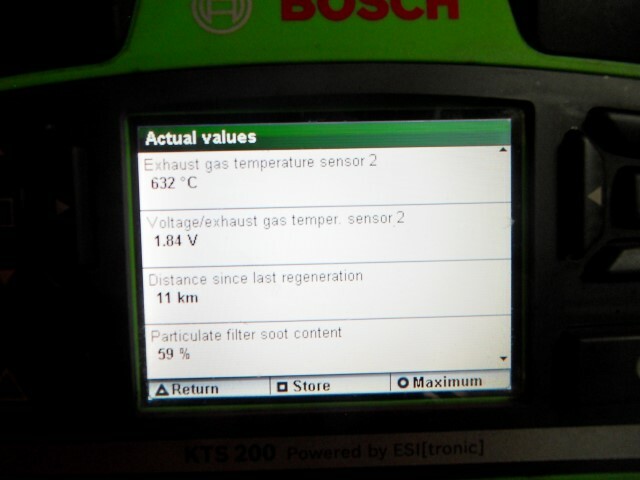 This may also be accompanied by a change in engine note and excess smoking from the exhaust tailpipe; this may be because an active DPF regeneration is taking place. There is an excessive amount of smoke coming from the exhaust when the vehicle is driven hard or when you re-start the engine after switching it off when hot, but re-starting it soon after. Excessive smoke when re-starting may be an indication that active regeneration was taking place when the driver unexpectedly (to the cars’ ECU) switched off the engine leaving unburnt diesel inside the DPF. The oil level on the dipstick seems to be getting higher and higher every time you check it, even though you haven’t added any new oil. During regeneration, some of the diesel injected through the engine on the exhaust stroke, by-passes the piston rings and ends up in the sump; this is why it is recommend the oil should be flushed and changed frequently and following repairs. The engine water temperature gauge reads higher than normal, this could be because the DPF is partially blocked and is restricting the hot exhaust gases from escaping. In extreme cases, an engine may initially start but then stall, or even not start at all; this could be due to a severely blocked DPF. Until recently, it was normal practice for common rail diesel fuel injection specialists like CRD Performance and even some general repair garages to completely remove these troublesome filters. When carried out properly the DPF canister is emptied of its contents and re-fitted to the vehicle so it appears that the DPF is still in place to any MOT Testers and therefore satisfies current MOT legislation. (A smoke emissions test will still however be carried out). Correct removal procedure also involves re-mapping the vehicles Electronic Control Unit (ECU) so it no longer checks that the diesel particulate filter is still in place. This re-mapping of the ECU disables any DPF regeneration functions and also cancels out any specific fault codes that would normally cause the EML to come on. Some less scrupulous Re-Mapping companies lacking proper software programming experience, often re-programme the ECU so that after DPF removal not just DPF fault codes are cancelled but often all other non-related codes are too. This procedure, whilst initially reducing some customer complaints, due to the EML no longer coming on, has the adverse effect of rendering the vehicles OBD system useless to alerting the driver of any other future faults being present. Although still requested by some of our customers, DPF removal and the necessary software upgrade using a Quantum Tuning remap of their vehicles ECU is becoming less popular. Tuning and re-mapping for better performance and economy, using Quantum Tuning, is still a significant part of our business but we’ve definitely seen a change in trend; the emphasis now seems more towards diagnosing faults and recovering or even renewing restricted DPF’s. Because renewal costs can sometimes run into thousands, especially on some newer or low volume executive vehicles, we are often asked if we offer any kind of preventative maintenance service to extend the vehicles DPF life span, well now we can. 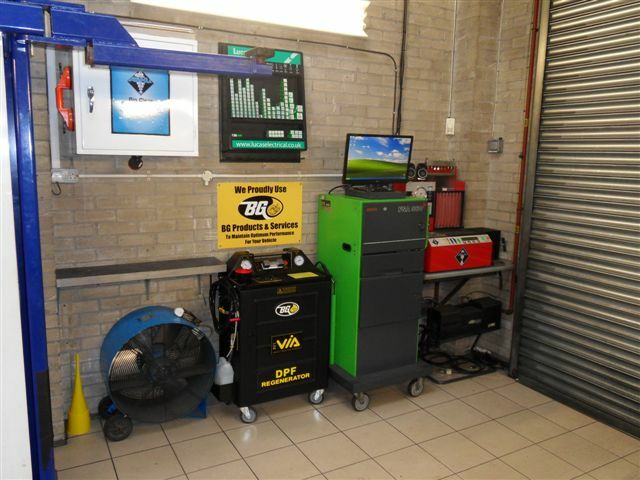 CRD Performance are the first Specialist DPF Repair Centre in the North West of England to equip their state of the art workshop with the latest forced DPF regenerator cleaning machine built in the USA exclusively for BG Automotive Cleaning Products. This latest equipment purchase compliments our Rolling Road Chassis Dyno that we often use to successfully perform our DPF Dyno-Clean service on some of our customers vehicles. All vehicles installed with a DPF will at some stage perform a passive or ECU controlled active cleaning cycle (regeneration) when their DPF becomes restricted or partially blocked. If this procedure fails, for whatever the reason, and the DPF becomes too blocked for an active regeneration to be effective, then a Technician, by using a vehicle specific scan tool may be able to initiate a safe and controlled forced regeneration of the vehicles DPF. If the soot content is too high, then, for safety reasons and the known risk of a DPF fire this procedure is not permitted in software on an ever increasing number of vehicles Manufacturers ECU’s. It is for this reason that taking your vehicle back to the Main Dealer is ever increasingly turning into a costly DPF replacement. 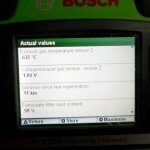 When a vehicle’s DPF is at this advanced stage of failure there are generally only four options we offer our customers. 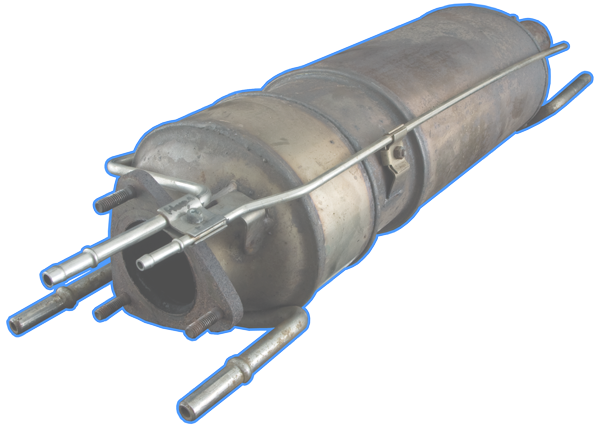 Replace the blocked DPF with a new or good condition used one. 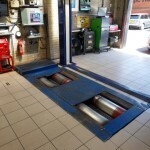 Remove the DPF canister contents and have the vehicles’ ECU re-mapped. Have the DPF chemically and thermally forced cleaned whilst still on the vehicle and without removal but using our DPF Regenerator. Dyno-Clean, a strong non flammable DPF carbon cleaning solution is introduced through the running engine and left to soak inside the DPF; this is followed by several hard runs on our rolling road to break down and ignite the soot inside the DPF turning it into carbon dioxide. 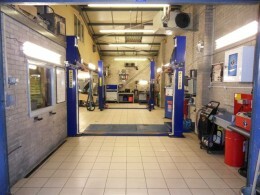 Before choosing what repair options are available we need to clarify with the vehicles owner that whatever the original faults or cause of the vehicles DPF failure, these still need to be correctly diagnosed and rectified unless in some cases where certain fault codes may be cancelled out as part of a re-map. CRD Performance will replace failed or blocked diesel particulate filters but generally this would only be if either a forced regeneration or forced chemical DPF clean was initially carried out and not been successful. Replacement new OEM filters can sometimes cost well in excess of £1000.00 whilst some used unit’s purchased from car breakers often cost around 50% of retail cost and have no guarantee of working until fitted to the vehicle. If a customer insists we replace the DPF without first attempting to clean it we will still do this although we’ll advise them against this. 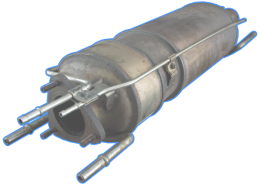 There are for some popular mass produced vehicles non-genuine aftermarket, low cost copy DPF’s available but CRD Performance are still a bit wary of how effective these are or have any experience as to how long they might last or even how many regens they’ll survive. We are sometimes offered more in scrap value for old units than what a new copy DPF replacement unit costs, which must tell you something about the differences in materials used in the vehicle manufacturers original filters. We also offer DPF removal on most vehicles, however, some may be difficult and costly to remove due corrosion and seizure of fastenings or just because they are so inaccessible and may even involve in extreme cases removing the engine. 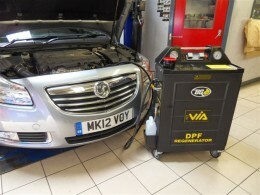 For more details on DPF removal please read our dedicated section from the home page. CRD Performance are now able to offer their customers the latest and ultimate solution in cleaning and recovering restricted or partially blocked DPF’s. In order to burn off heavy carbon and soot build up inside the filter a stable temperature of at least 500 degrees must be reached and maintained for anywhere between 20 minutes and an hour. The vehicles own forced regeneration procedure, enabled by using a scan tool, allows unburnt diesel to pass through the engine on its exhaust stroke, or be injected into the exhaust front pipe using an additional fuel injector, so it finds its way into the DPF. The ECU then normally raises the engine speed and controls the amount of diesel whilst it ignites and burns inside the filter in an attempt to burn off the soot. If the Technician doesn’t have the necessary scan tool or if the vehicles ECU won’t allow this or if there is a fault and all conditions required by the ECU to carry out regeneration are not met then regeneration will not happen. So now what? By using our DPF Regenerator we are able carry out a similar procedure but without any intervention necessary from the vehicles own ECU. Even where we do not have the correct scan tool available to communicate with the ECU we can still read and monitor DPF temperatures using other test equipment whilst we perform a controlled high temperature forced regeneration. The main differences between the two methods are that instead of using just diesel, a chemical cleaning fluid is used which is probably far better for the job, the vehicle manufacturer only uses diesel for convenience and to save cost. One main advantage using the Regenerator method is that the fluid has a cleaning effect on all of the combustion chambers, the intake manifold and valves, the turbocharger’s variable vanes (these are often prone to sticking) and even the EGR valve (exhaust gas recirculating valve). The Regenerator connects to the engines throttle body, downstream of any sensors or intercooler, it controls the air flow whilst administering, under high pressure, a precisely metered jet spray of DPF cleaning fluid. This fluid is semi-combustible so most of it passes unburnt through the engine and deep into the core of the DPF where it soon begins to saturate and break down the heavy soot deposits. Any contaminates dislodged from the engines intake manifold, turbo vanes, valves and combustion chambers etc. act like a fuel and quickly ignite inside the DPF, causing a rapid rise in EGT’s (exhaust gas temperatures). The Operator, by varying the engine’s speed using a throttle pedal controller, can monitor and control the temperature inside the DPF by further regulating air flow and the amount of cleaning fluid injected. The first half of the process involves injecting about 4 litres of cleaning fluid through the engine, therefore saturating the DPF, the second stage involves raising the engine speed higher still so that all of the fluid combusts inside of the DPF. It’s in this second stage that the highest DPF core temperatures are reached and when most of the accumulated soot is burnt turning it into Carbon Dioxide and ash. Some vehicles, with heavily contaminated DPFs, may benefit further still by having their vehicles put through a Dyno-Clean session on the rolling road. As no further cleaning chemicals are required, just time and use of the dyno, customers are welcome to negotiate any further costs with CRD Performance at the time of booking. Our Dyno-Clean DPF service is offered as a low cost cleaning and maintenance alternative to the DPF Regenerator cleaning process. 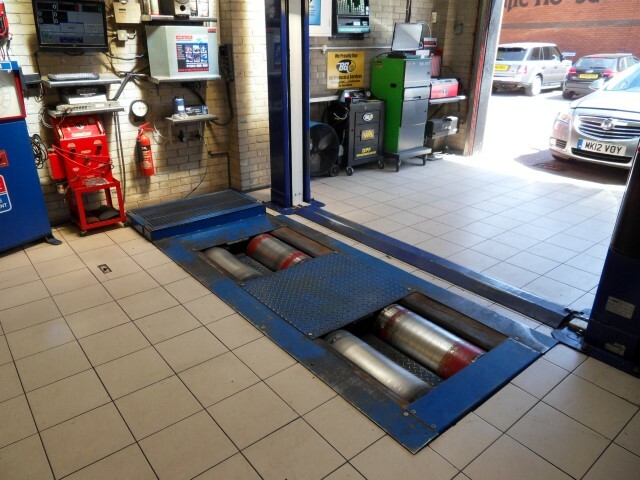 This procedure can only be carried out if the engine is still in a normal running state and not in any limp mode, sometimes it is possible to clear any DPF fault codes causing the limp mode and then carry out the Dyno-Clean. The process involves introducing about a litre of non flammable carbon dissolving chemical directly into the DPF or through the running engine. This fluid is introduced whilst the engine is hot and left to soak inside the DPF for about 20 minutes after which several high speed dyno runs are performed. During these runs a much greater than normal exhaust gas flow is reached along with much higher DPF core temperatures that could never be achieved during even harsh on the road driving. This occurs because a much higher and constant engine load is held and the vehicle is stationary without any wind cooling effect on the underside of the vehicle. Results are generally good after this clearout and the driver will notice a difference in performance, not just in overall power but in how much more responsive and crisp the engine feels. A further option during this procedure is to add a can of BG Products fuel system cleaner to the tank, as the engines injectors are held wide open for longer time periods during the Dyno run, best cleaning results are achieved. Prices for the Dyno-Clean start from £150.00 for single DPF vehicles. Although we cannot guarantee that in all cases the DPF will be close to 100% clean, we do believe it is the best cleaning option currently available and much better than the vehicles own built in regeneration. If we either cannot complete for any reason the cleaning cycle or if we find that the clean hasn’t unblocked the DPF we will only charge the customer two thirds of the agreed fee. It may be that although we’ve successfully cleaned the DPF it is damaged internally due to age and mileage or that someone has previously steam cleaned it and caused irreparable damaged the substrate. When this happens CRD Performance will take a sympathetic view and try to agree a happy compromise for both parties. Before we carry out the DPF Regenerator process we must first carry out our own initial diagnostic tests for which there is a charge of normally £80.00. 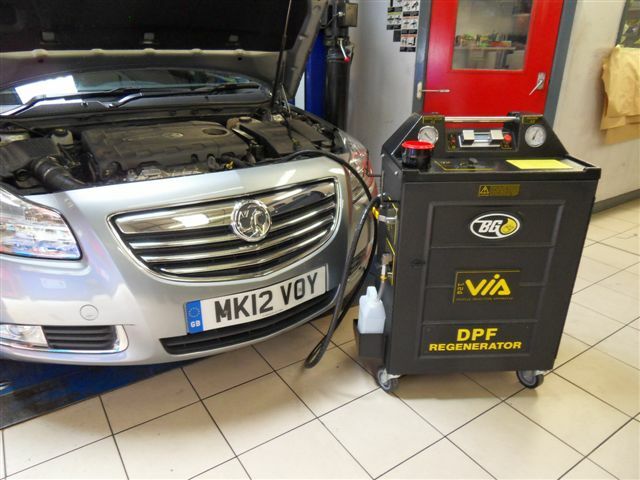 Any further necessary repairs or oil and filter changes will also be at additional costs, sometimes it may not be possible however to quote for further repairs if the vehicle comes to us with its DPF blocked and is not fully diagnosable until the filter has been cleaned. We also provide our DPF Regenerator cleaning service on its own and without any diagnostic tests or repairs. It may be that a vehicle is brought to us that we don’t have the necessary tools to properly diagnose and repair it in which case we will offer a clean only service. Some vehicle owners may wish to use CRD Performance for the DPF Regenerator clean only and then take it to their usual garage for further diagnosis and repairs; we’re fine with that too.